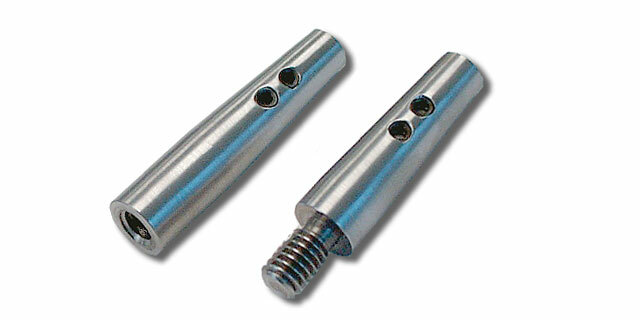 These are used as a means of attaching accessories to the rod. 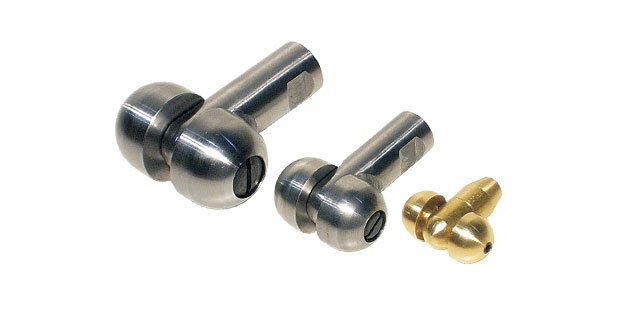 Brass male rod ends are standard on the leading end of the smaller 1/8" and 3/16" rodders which have no fitting on the back end. 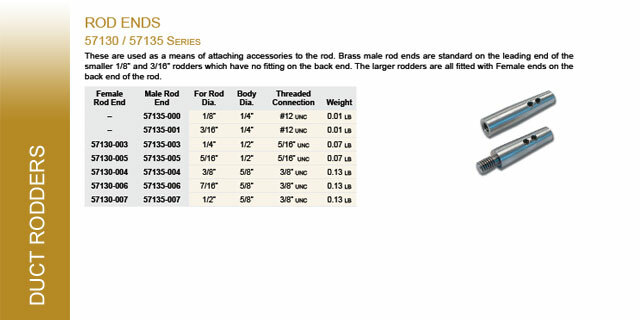 The large rodders are all fitted with Female ends on the back end of the rod. 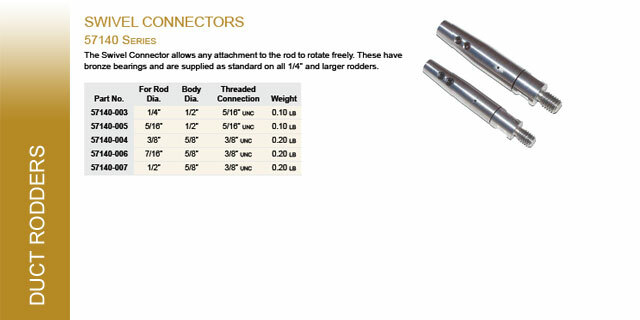 The Swivel Connector allows any attachment to the rod to rotate freely. 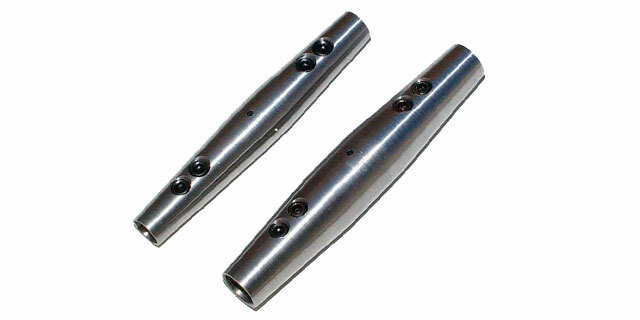 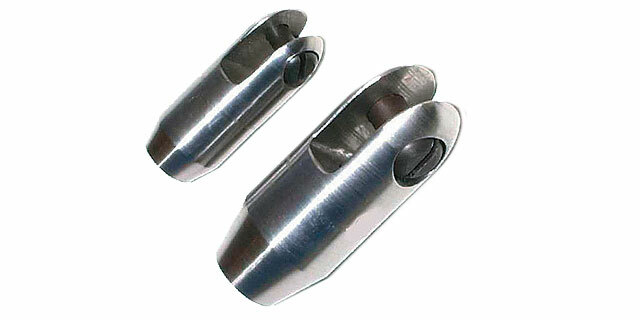 These have bronze bearings and are supplied as standard on all 1/4" and larger rodders. 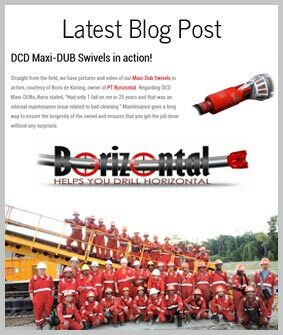 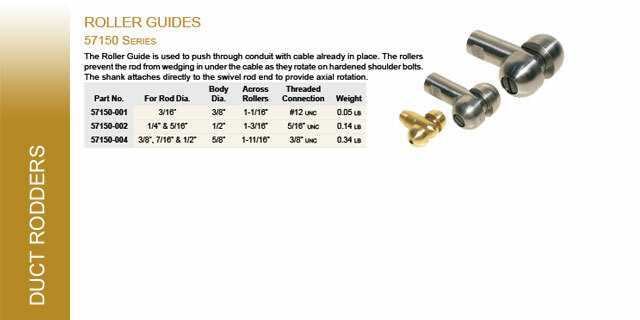 The Roller Guide is used to push through conduit with cable already in place. 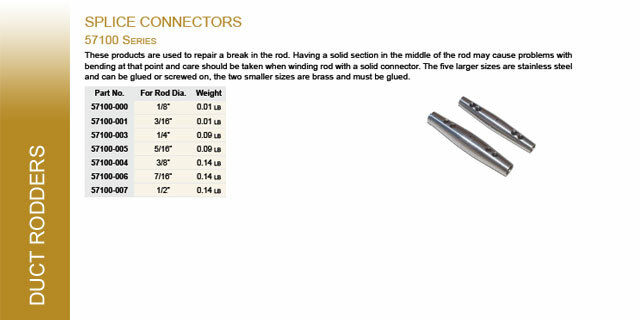 The rollers prevent the rod from wedging in under the cable as they rotate on hardened shoulder bolts. 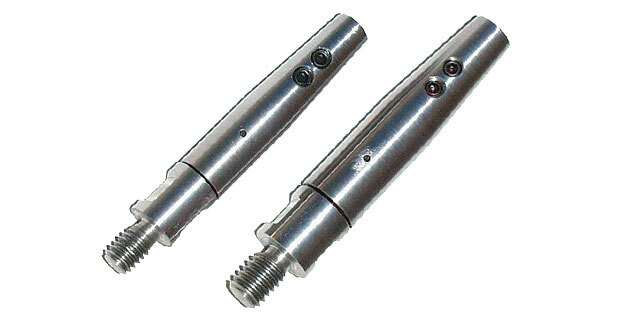 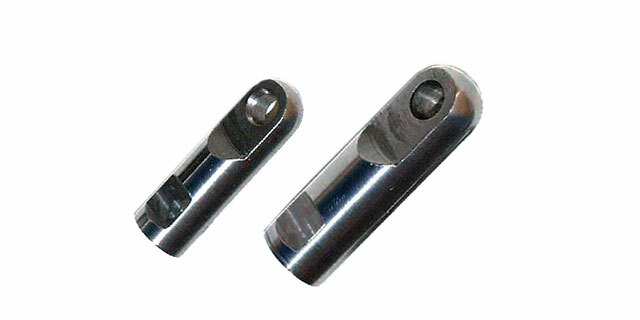 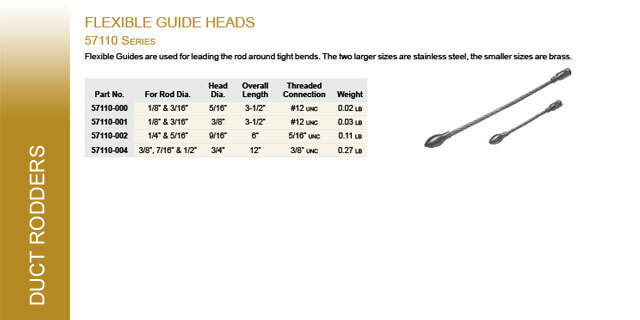 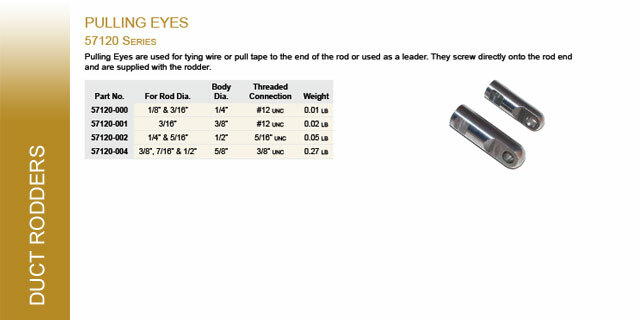 The shank attaches directly to the swivel rod end to provide axial rotation. 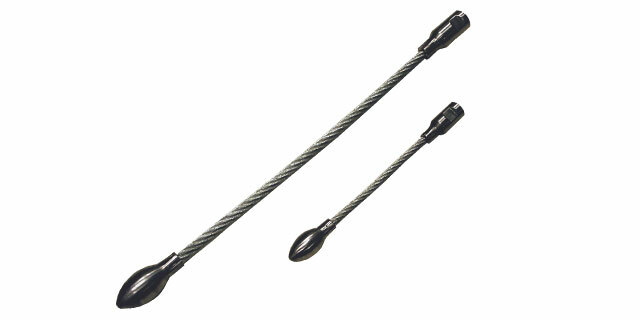 The Clevis allows attachment of pulling ropes etc. 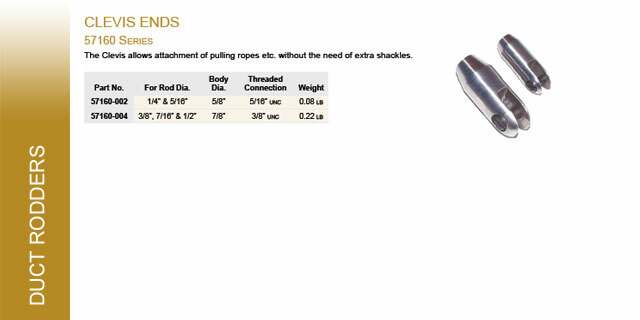 without the need of extra shackles. 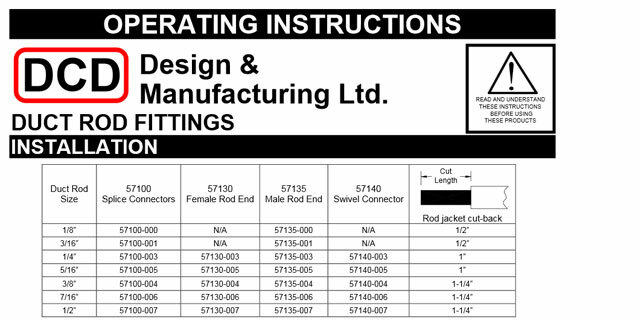 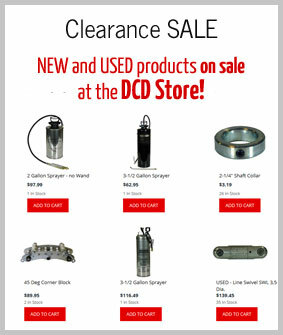 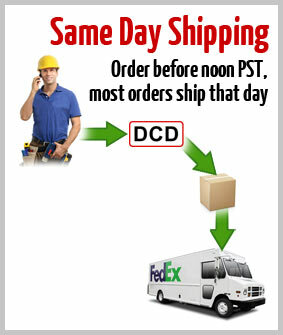 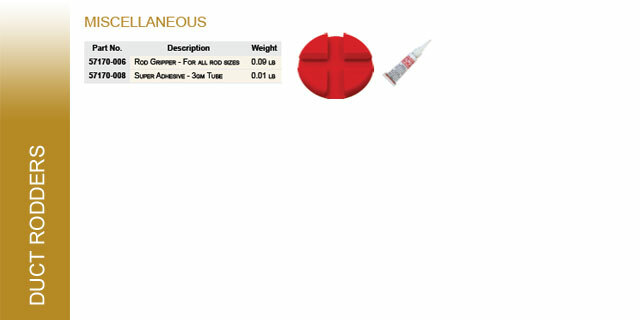 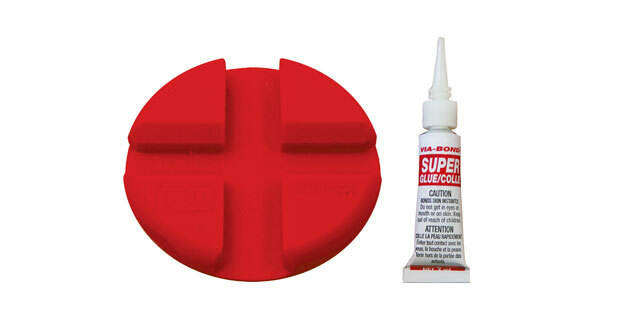 Other accessories, such as Rod Grippers and glue, are also available for use with DCD rodders.